Free Practice 1 + 2: In the first practice session the track was wet and updrying in the end. Mazepin was P 2 and Vanthoor P 11. Delétraz and Jörg tried Slicks on the wet track beeing P 14 and P 15 at the end. In the second session the track was dry. 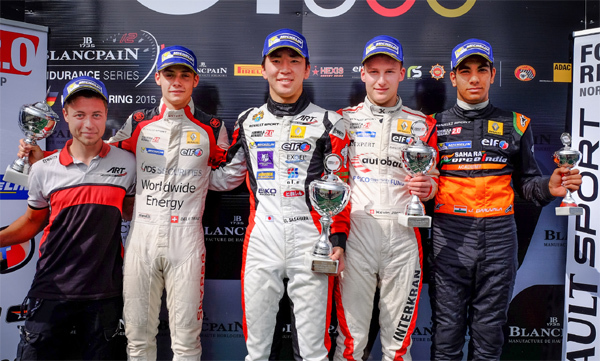 Without new tyres the Kaufmann Drivers still managed to be P 2 - Delétraz, P 4 - Jörg, P 9 - Vanthoor and P 13 Mazepin. 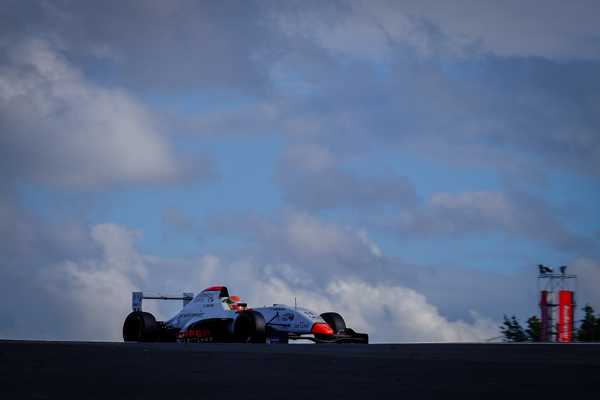 Qualifying 1 + 2: In the first qualifying Vanthoor crashed his car and couldn´t make a lap. Mazepin did well and qualified two times on P 8. 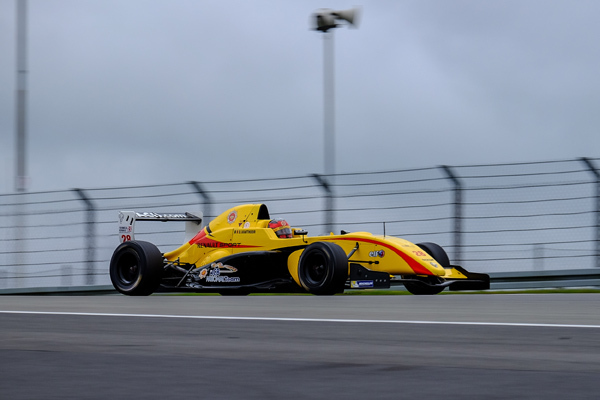 Jörg qualified on P 3 and P 4. Delétraz was the best Kaufmann Driver taking P 2 and Pole Position for the second race. Race 1: In the first race Vanthoor drove really well working his way back up from last of the grid. He finished on P 10. 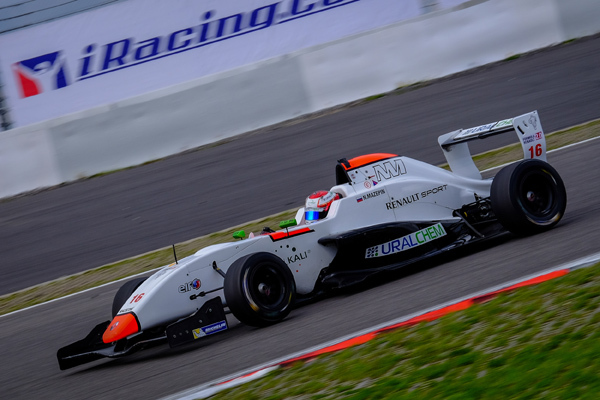 Mazepin also drove a good race with some hard overtakings and finished on P 8. Jörg drove a quiet race to finish on P 3, while Delétraz was tracking to get the lead but had to finish on P 2 in the end. 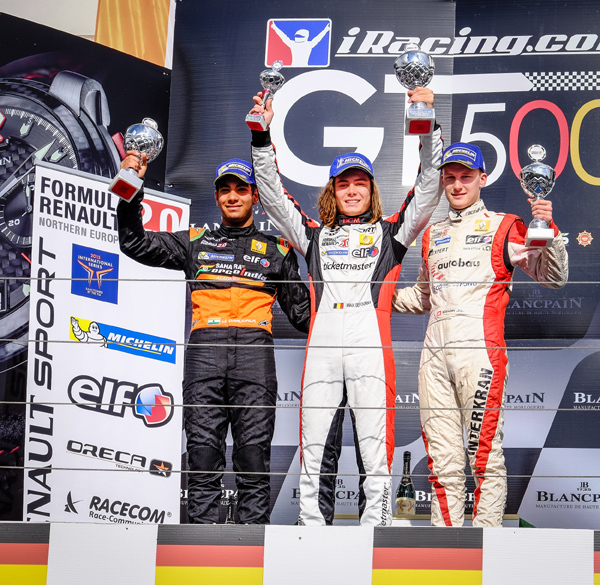 Race 2: In the second race on Sunday, Vanthoor again started from the last position and managed to finish on P 7, very strong performance of the young Belgian. Mazepin after beeing touched in the chicane dropped back to P 13 in the end. Delétraz was fighting for the race win, but was forced off the track into the gravel trap in turn 1. He only managed to finish P 10. Jörg also involved in the battle at the front, missed turn 1 as well but still was able to finish on P 3.